These days the battery life of any device, be it a smartphone or MP3 player, is a key consideration. 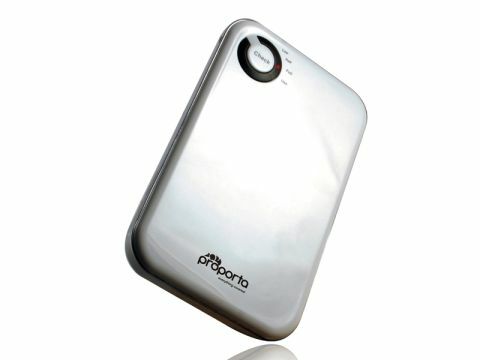 Once charged, the Proporta Universal Emergency Charger powers a variety of devices while out and about. The charger is small, sleek and fits into most pockets. The plastic casing is durable and features a handy power check button. The unit takes nearly four hours to charge. USB chargeable devices are supported, but this charger also ships with a large variety of mobile phone adaptors. We found it replenished our mobile phone three times before it ran out of juice, making it pretty impressive for such a small and affordable piece of kit.